A professional 36 litre sample/reagent refrigerator powered by the unique IntelliCold® controller for tight temperature tolerances. 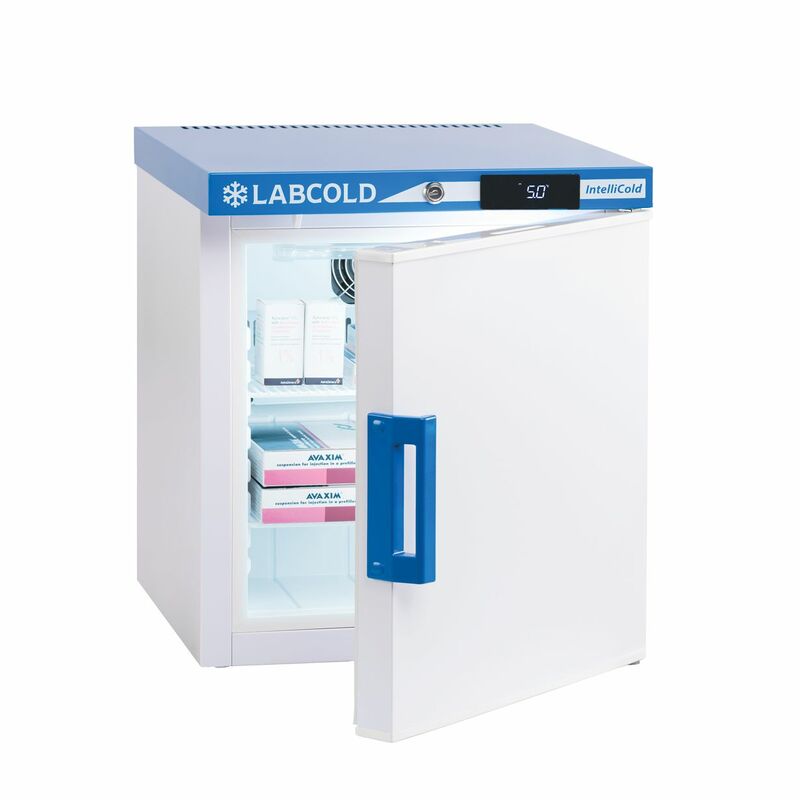 Designed for the safe storage of cold chain biologicals, this refrigerator features an easy to operate intuitive four button controller and automatic data storage of both temperature and fridge function. 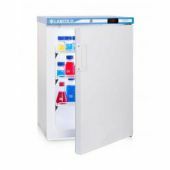 This data can be downloaded to an (optional) specially encoded micro SD card (half price if ordered when the warranty is registered) and stored on a PC or Mac. 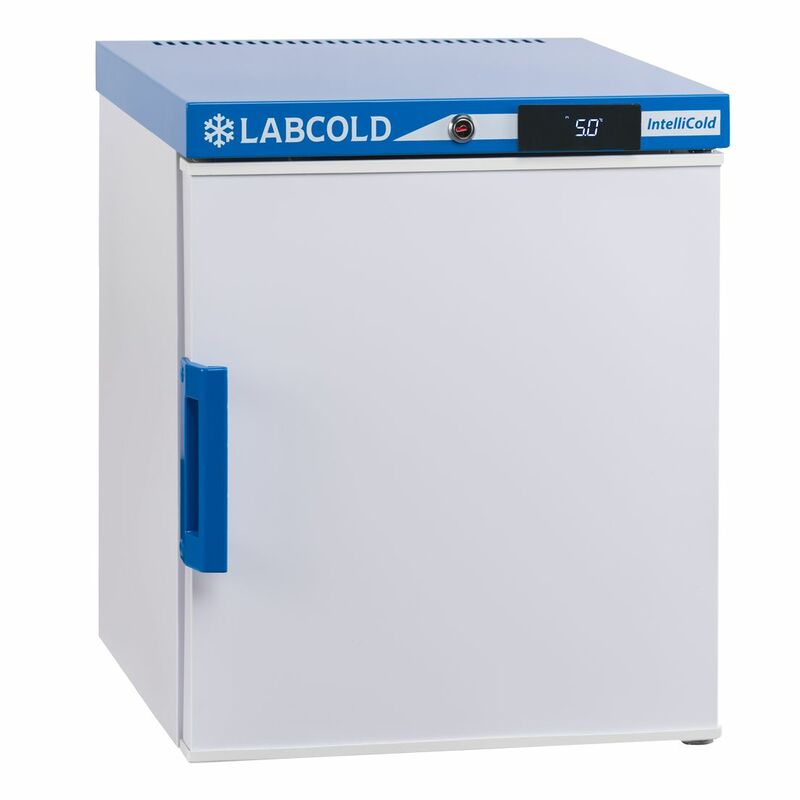 Reliable and robust, this refrigerator is engineered to meet the demands of a busy laboratory and is backed by the Labcold FREE 5 year parts and labour warranty. 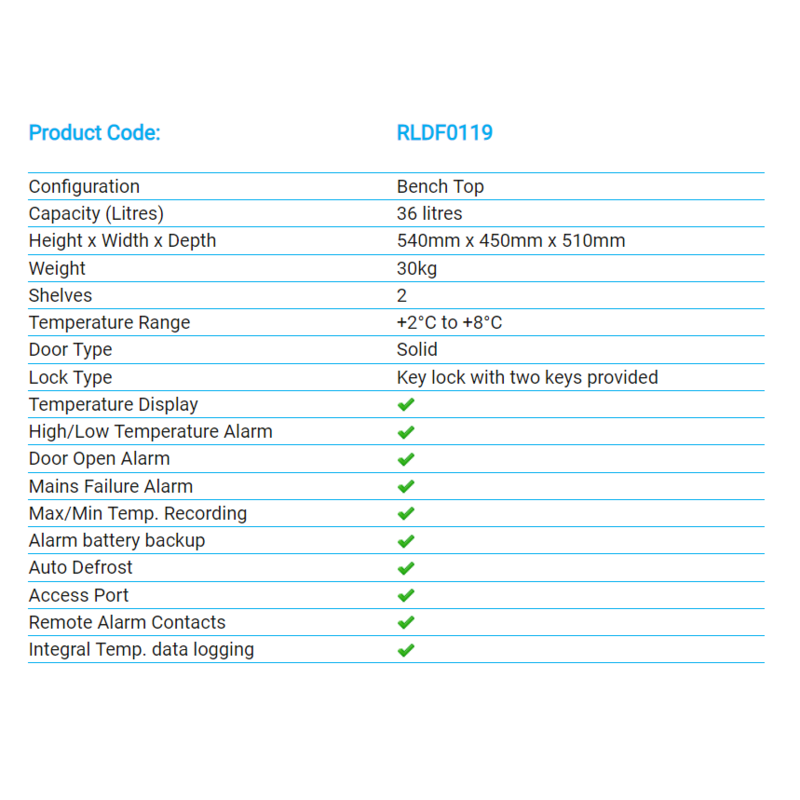 There is a digital lock version, RLDF0119DIGLOCK which helps improve security and removes the problem of generic and lost keys. 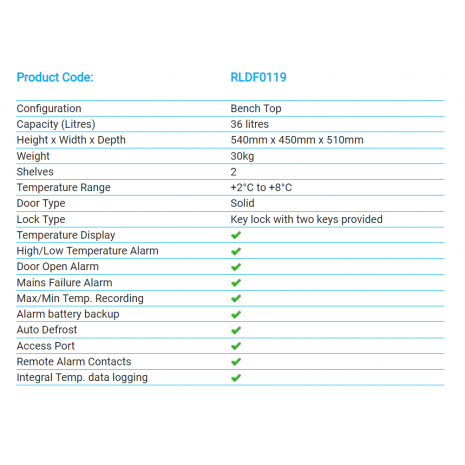 Please note 5 year warranty UK customers only.